The Brother QL-720NW high-speed label printer, helps busy workgroups easily tackle a variety of labeling tasks. Create cost-effective paper labels for file folders, envelopes, packages, and DVDs even create banners and signs up to 3-ft long. The ultra fast print speeds of up to 93 labels per minute help save time on big projects. 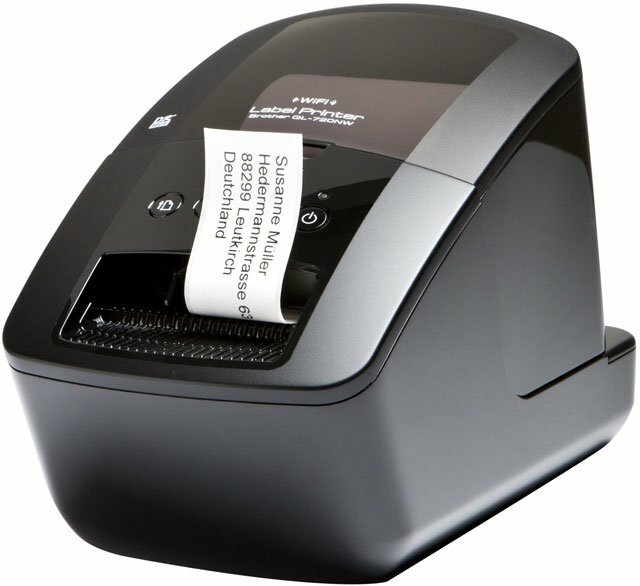 Whether you print 1 label or multiple labels at a time, the convenient, automatic cutter speeds your job along. The Brother QL-720NW is also known as QL-720NW	or QL720NW	.